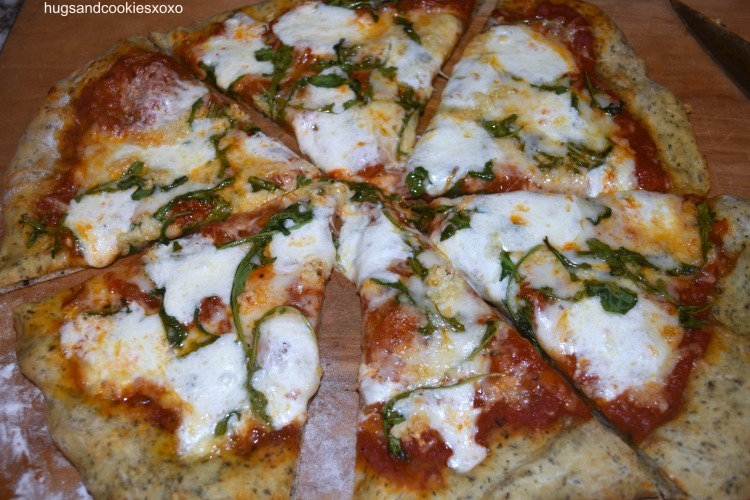 What is better than pizza night at home? 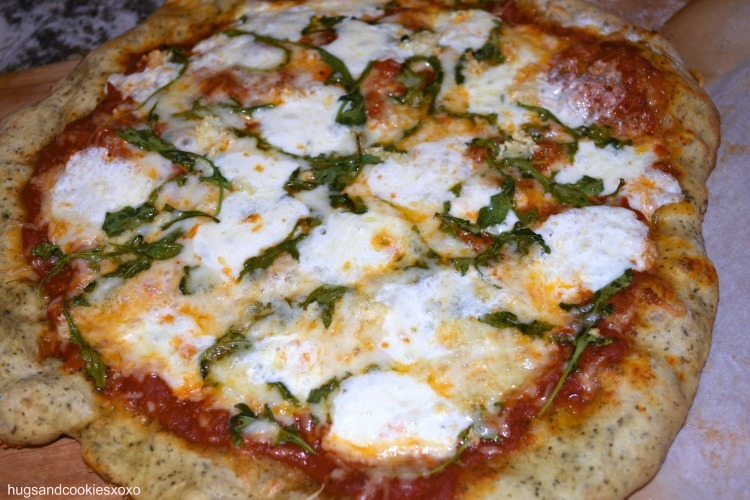 I will tell you…pizza night at home with ready made doughs from Trader Joes! A friend (HI Nancy) posted her pizzas on fb and I knew I had to try the dough, too! I used the original and the garlic doughs. 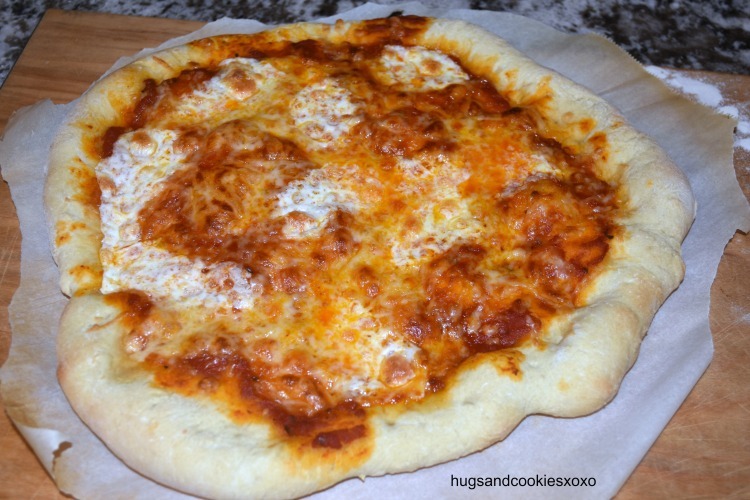 The garlic dough was way easier to work with for some reason and was delish but of course, the kids preferred the plain dough! That took a little more work to spread it out. For the sauce I used Rao’s which we just love. I used a combo of four shredded cheeses with fresh mozzarella. On the garlic pie I added some arugula, too! Mmmmm! 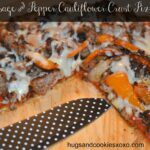 Of course, pizza night allows you the freedom to be super creative with your toppings so go for it! Hope you enjoy your pizzas! 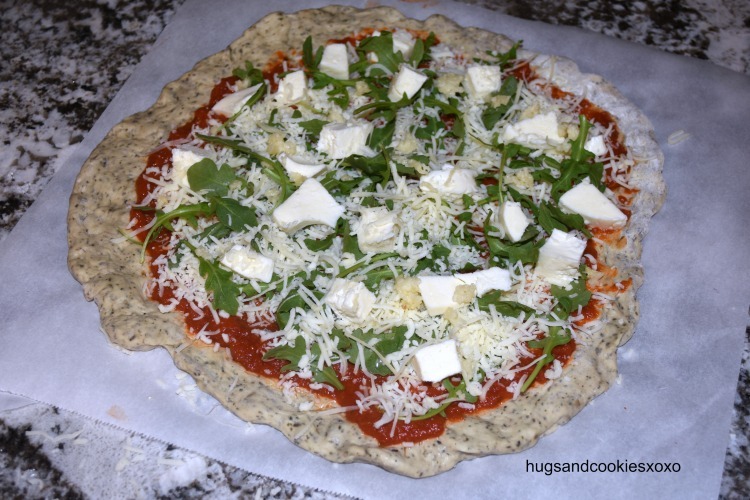 Heat oven to 475 with a pizza stone if you have it. 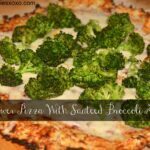 Sprinkle on cheeses and any toppings you love. 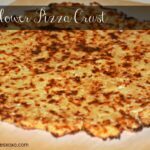 Bake 15 minutes until crisp crust and melted cheese. 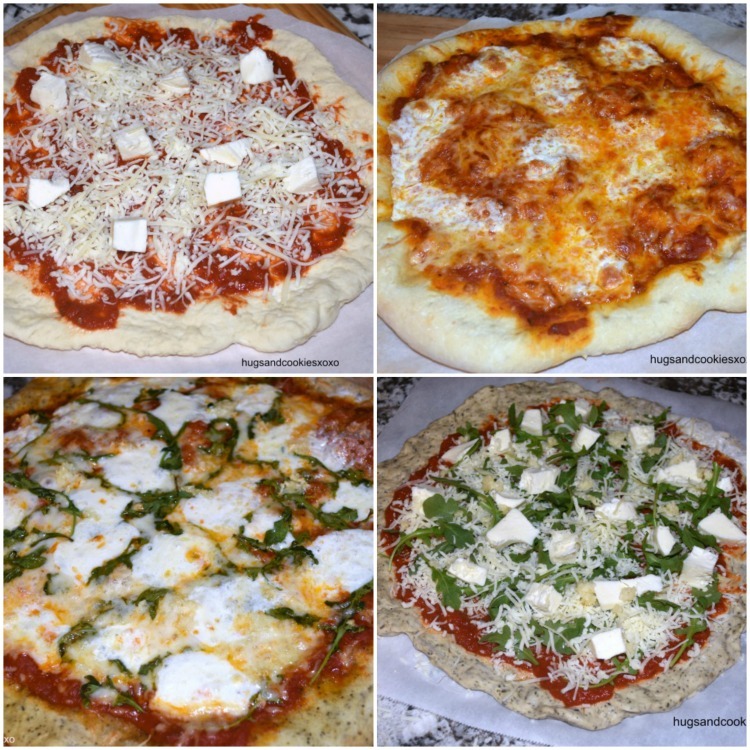 SUPER FUN INDIVIDUAL PASTA PIZZAS!! !